Is there an admission cost to attend WaterFire Providence? Is WaterFire Providence run by the city or state? Is there a WaterFire Providence event every weekend? When will the next WaterFire Providence event take place? Are there weather updates for the event? What kind of boat services & policies are there? What public transportation to WaterFire Providence is available? Is WaterFire Providence accessible for those in wheelchairs? How much does it cost to produce each WaterFire Providence event? Is WaterFire Providence entirely produced by volunteers? 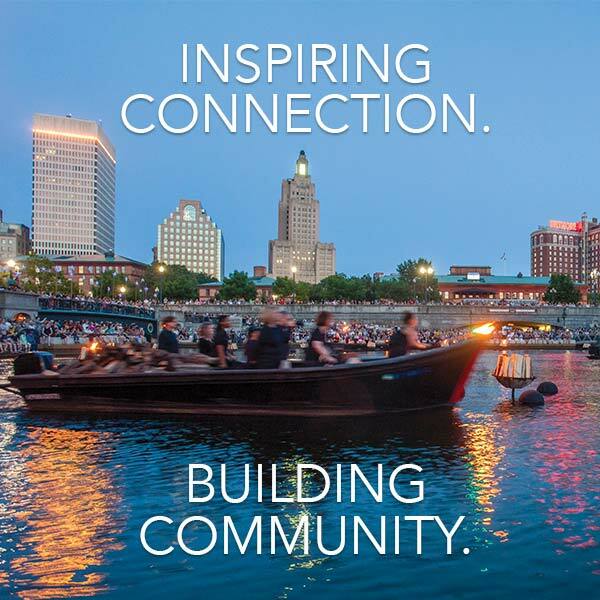 How can I get involved with WaterFire Providence? How do I apply to become a performer at WaterFire Providence? Where can I get more information about WaterFire Providence? Where can I purchase WaterFire Providence merchandise? How can I find out more about the music that plays at the event? Where are can I find an ATM? If your question is not answered, please email us at info@waterfire.org. We ask that all of our guests consider making a donation of $5 to WaterFire Providence. We need your support. Make your donation at one of the Official WaterFire Providence Guest Stations located throughout the park. Each Guest Station is marked by a column of blue light. By making a donation of $3 or more you will receive a luminous blue Ribbon of Light so you can become a part of the art and add your light to the night. The flow of the blue Ribbons of Light will echo the flow of the water and surround the entire park with a Ribbon of Light. Visit one of our Luminaria Stations and make a $5 donation in exchange for lighting your own luminaria candle lantern and writing out a dedication card with your light. Visit our Starry, Stary Night installation in Memorial Park; wish upon a star and hang it overhead, also light two luminaria candle lanterns in exchange for a $20 donation. WaterFire Providence is an independent 501(c)3 non-profit arts organization and all contributions are tax deductible. WaterFire is made possible by the generosity of visitors like you. 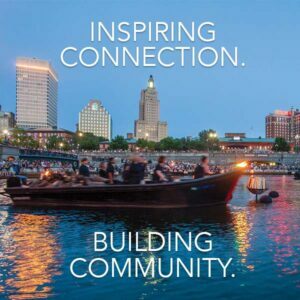 Neither, although WaterFire Providence does receive some support from the City of Providence and the State of Rhode Island most of our funds come from our corporate sponsors, Brazier Society members, and individual donors like you. WaterFire Providence is an independent 501(c)3 non-profits arts organization and we depend on your donations and support to keep the fires burning. The art installation known as WaterFire was created by the artist, Barnaby Evans, in 1994. WaterFire Providence is an independent non-profit organization that was formed in 1997 with a mission to make the WaterFire art installation an ongoing event in Providence. Barnaby Evans is the artistic and executive director of WaterFire Providence. No. Sadly we cannot afford to showcase WaterFire Providence every weekend. Our dates are largely determined by the extent of your support. Please donate now to help keep the fires burning. Please visit our Season Schedule page for the current season dates; make sure you check back frequently for additions and updates. WaterFire Providence events usually take place between between May and November. The dates for each season are typically released April of that year. Visit our Breaking News & Special Events page at www.waterfire.org/now; where you will find the latest updates for our upcoming event. WaterFire Providence is only cancelled when there are serious weather concerns. What kind of boating services and policies are there at WaterFire Providence? WaterFire Providence does not operate or arrange for boat tours or rentals for the general public on the river. The river is closed to all boat traffic on WaterFire nights from sunset to midnight upstream of the Crawford Street Bridge. WaterFire is intended to be viewed from the shore. We encourage anyone who would like to see WaterFire Providence from the water to join us in creating this work of art as a volunteer on the fire tending boats. La Gondola operates three genuine Venetian gondolas and a floating lounge. The floating lounge is a completely refinished 28-foot pontoon boat outfitted with 3 bistro tables, and able to accommodate up to a total of 6 passengers. Reservations are needed for gondola rides during WaterFire Providence events, and can be made by visiting the La Gondola website or by calling them directly at (401) 421-8877. There are many parking lots located near WaterFire Providence. Please visit the Parking/Directions section of our website for details. Amtrak offers weekend service to Providence. The Amtrak station is one block from WaterFire. Call Amtrak at 800-USA-RAIL for schedules and fares. Peter Pan Bus Lines offer service to Providence. Upon arriving at the Peter Pan Bus Terminal, transfer to the shuttle bus to Kennedy Plaza. Kennedy Plaza is one block from WaterFire. Call Providence Peter Pan at (401) 751-8800 for schedules and fares. Greyhound Bus Lines offers service to Providence. Their terminal is located about two blocks from WaterFire. Call the Providence Greyhound at (401) 454-0790 for schedules and fares. Numerous airlines have convenient service to Providence’s T. F. Green Airport. Taxi service from the airport to downtown is about $25 one way. A shuttle van servicing downtown hotels and universities is available for $9 one way. The most convenient stop request for the shuttle van for visiting WaterFire is the Omni Providence Hotel. Call (401) 737-2868 for reservations. When you are in Providence, RIPTA, The Rhode Island Department of Transportation, offers bus and trolley services around the city. Most dogs seem to love WaterFire Providence! Leashed dogs and other animals are always welcome to join you at WaterFire Providence, provided that they are safe and will be comfortable in large crowds. WaterFire can get fairly crowded, so consider your animal’s comfort and temperament. Please bring plastic bags to clean-up after any messes and be careful to monitor your pet. There are no doggie cleanup bag dispensers in the park. Yes, most of the park is accessible, but there are cobble stones on many of the paths. WaterFire has an access boat program for use by those in wheelchairs to have a close-up experience at WaterFire. Funding for our access The Fez has been generously given by various community groups and foundations. More information about the WaterFire Providence Access Program. WaterFire Providence operates all year round, with many costs. Among those are labor, music rights, insurance, transportation, brazier upkeep, boats, docks, programs, building materials, firewood, performers, audio equipment, police, permits and other expenses. Our annual budget is approximately 1.7 million dollars. Although volunteers are an essential part of each WaterFire event, WaterFire Providence does have a dedicated full-time year-round staff of 21 people who work hard everyday to make the event happen. All performing artists must be approved by WaterFire Providence to be able to perform during events. Your inquiry will be carefully reviewed by our team for consideration. Fill out our performance inquiry form to be considered as a performer for the 2014 WaterFire Providence event season. There are many ways you can get involved with WaterFire Providence by donating or volunteering. WaterFire Providence is always looking for volunteers. Our volunteers do everything from greeting guests, to the set up and break down of our signature events, to feeding the fires. During WaterFire Providence events there are Official Guest Stations illuminated by columns of blue light. Please make a donation here too. 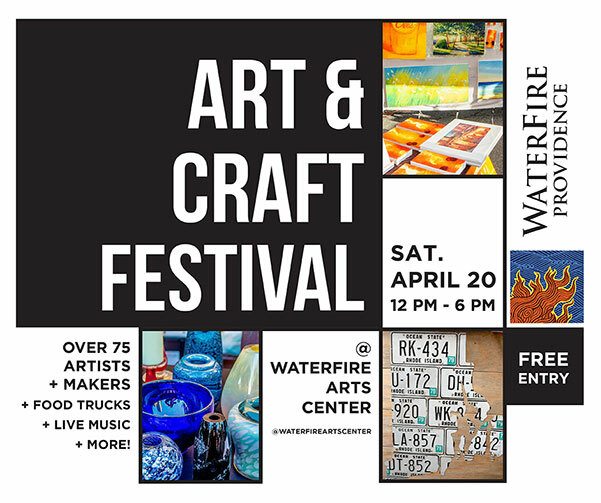 Please come by and visit with all your questions about WaterFire, visit with our Volunteer Ambassadors, write your comments in our guest books, make a tax-deductible donation or purchase WaterFire merchandse. You can also refer to the map of WaterFire Providence. Where can I purchase official WaterFire Providence Merchandise? During events, the WaterFire Store on Canal Street (between Steeple and Washington Streets) is open from 3 p.m. until 11:30pm. You can also visit our Online Store to purchase Official WaterFire Merchandise. The music program for each event is available to be downloaded from our website prior to each event. At the event WaterFire Providence offers visitors a chance to see what song is currently playing on our digital media screens located at each Official WaterFire Providence Guest Station. Visitors are also encouraged to follow our @WaterFireMusic twitter feed for live updates about the music program during each WaterFire Providence event. There is also an archive of music programs available on our website. Where can I find the restrooms? Restroom facilities are located in the lobby of the RISD auditorium and in the Providence Place Mall. Portable toilets are available at the following locations: on Finance Way across from the Providence Place Mall, on Memorial Blvd near the GTECH building, on Washington Street near the WaterFire Arts Festival Plaza, on South Main Street near College Street, and on Dyer Street near the Irish Famine Memorial. The RISD facilities are open to the public from the start of WaterFire Providence until about 11:30. The portable facilities open from about two hours before sunset until the end of the event. There are many convenient ATMs nearby at the Providence Place Mall (several), the Amtrak train station, the Citizen’s bank tower (Citizen’s ATM), the Sovereign Bank Tower, and outside of Hemenway’s Restaurant at the south end of the park (Citizen’s). All lost items should be returned to The WaterFire Store on Canal Street. If you lose an item at WaterFire Providence, please visit The WaterFire Store on Canal Street that evening or call the WaterFire Providence office at (401) 273-1155 the following Monday to see if we have retrieved it. Where is the safe point for missing children. Missing children should be brought to the WaterFire Providence First Aid station located on the head of Washington Street during the event and parents should report here to reconnect with them. This site is continually staffed by professional nurses from Nursing Placement.